Dedicated to help monkeys out of misery into a happier life. 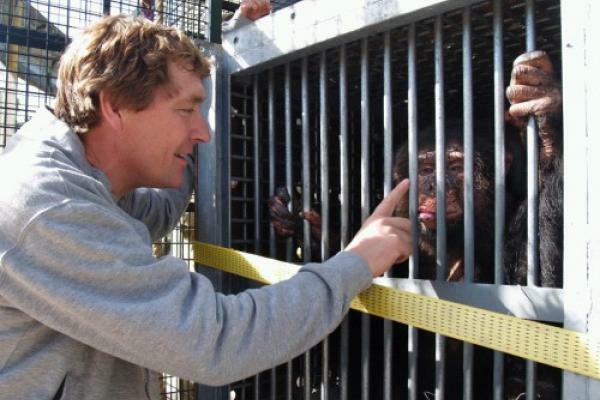 Vote for your favorite Monkey-hero, support them for winning the GreenMonkie Award 2015 !!! The funds which will be raised on our future Greenmonkie charity climbing-event will be donated to his/her foundation! Last year we gathered over 2000 euro’s! David Gennep is Executive Director at AAP sanctuary; specialized in caring of monkeys & small mammals. They often have been severely abused or neglected and come from illegal trade, animal laboratories, circuses, illegal zoos etc. The goal is to make the animals mentally and physically healthy and reposition them with fellow monkeys in a more natural setting . 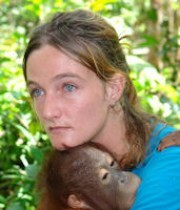 Femke’s JAAN is a nonprofit organization, with the main goal to help animals in need & protect the natural environment. Jaan is well known for rescuing “dancing monkeys” which are forced to dance with masks, costumes, chains around their necks in the busy streets of Jakarta. JAAN rescues the monkeys, improve their health, introduce them to other monkeys and release them into protected nature. JAAN succeeded in convincing the local government to prohibit this cruel practice in West Java since October 2013! Info: Considered to be the world’s foremost expert on chimpanzees, Goodall is best known for her 55-year study of social and family interactions of wild chimpanzees in Tanzania. She is the founder of the Jane Goodall Institute, and she has worked extensively on conservation and animal welfare issues. 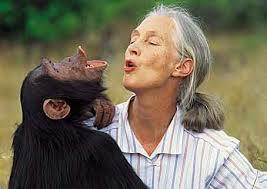 She has served on the board of the Nonhuman Right Project since its founding in 1996.